TUESDAY, Oct. 11, 2016 (HealthDay News) -- Traditional multivitamins are falling out of favor among Americans, while supplements such as vitamin D, fish oil and probiotics are gaining ground, a new study finds. Researchers found that between 1999 and 2012, Americans' overall use of supplements remained stable. Slightly more than half of adults said they took vitamins, minerals or some other type of dietary supplement. What's changed are the products of choice. On the other hand, more people are using vitamin D, omega-3 fatty acids and probiotics -- "good" bacteria said to benefit the digestive system. Researchers said the findings make sense. "I did expect to see that vitamin D use would go up, and that fish oil would go up," said lead researcher Elizabeth Kantor, an epidemiologist at Memorial Sloan Kettering Cancer Center in New York City. That's because both have been the focus of a lot of research and media attention in recent years, Kantor pointed out. Some studies, but not all, have suggested fish oil pills can curb the risk of heart attack and other cardiovascular trouble. And studies have hinted that vitamin D could be protective against a range of ills, from cancer to diabetes to multiple sclerosis -- though clinical trials testing those ideas have yet to be finished. The drop in multivitamin use was less expected, Kantor said. But it also makes sense, she added. During the study period, a number of studies questioned the value of multivitamins when it comes to preventing major health conditions. Similarly, antioxidants -- such as vitamins C and E, and beta-carotene -- were once a hot topic. Early studies suggested they might battle ills like heart disease and cancer. But clinical trials later found either no benefit, or even potential harm, from antioxidants, Kantor's team pointed out in the new report. The current findings are based on almost 38,000 U.S. adults who took part in a nationally representative government health survey between 1999 and 2012. By 2012, the researchers found that 31 percent of survey respondents said they'd used multivitamins in the past month -- down from 37 percent in 1999-2000. On the other hand, more people were taking certain vitamins or minerals in isolation, particularly vitamin D. In 2011-2012, almost one in five Americans used the vitamin, versus only 5 percent in 1999-2000, the findings showed. Some other supplements rose in popularity, too. They included coenzyme Q10, green tea extracts and omega-3 fatty acids -- mostly in the form of fish oil pills. In 1999-2000, less than 2 percent of Americans used omega-3 fatty acids. That had risen to 13 percent by 2012, according to the study. The results were published Oct. 11 in the Journal of the American Medical Association. Chris D'Adamo is director of research at the Center for Integrative Medicine at the University of Maryland School of Medicine. He saw good news in the findings. "Many of the things people are taking actually have good research supporting them," said D'Adamo, who was not involved in the study. "This shows that consumers are listening to what the research is showing." But, he added, more studies are needed, since evidence is lacking on many other supplements that consumers take. The Council for Responsible Nutrition (CRN), an industry group, said the new findings are similar to what its own surveys have found. But its research shows that Americans' multivitamin use has actually ticked up since 2011. Multivitamins are an "affordable, safe and convenient way" for people to get nutrients that are missing from their diets, a CRN spokesperson said. D'Adamo and Kantor suggested that people talk to their doctors about any supplements they take -- particularly if they are on medication. 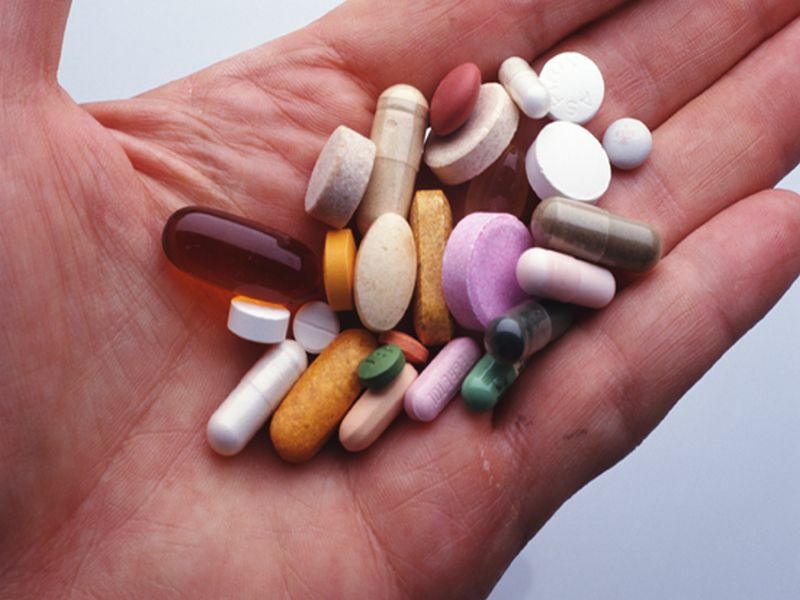 Many supplements can interact with drugs, or with each other. "And the more supplements and medications you're taking, the greater the chance of an interaction," D'Adamo said. But, he added, to best help their patients, doctors also need more education on supplements.